Discover why Langton Green is special. At Langton Green we take considerable pride in the fact that we have been growing and changing together for almost 35 years. 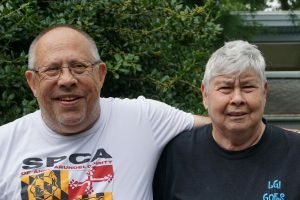 We offer a wide range of support, including at our residential settings in Annapolis, Md. and the 13- acre Langton Green Community Farm in Millersville, Md. With our support and care, our residents are living as independently as possible. We are there at every step, offering support and services. We celebrate each individual’s successful milestones and help navigate any challenges along the way. 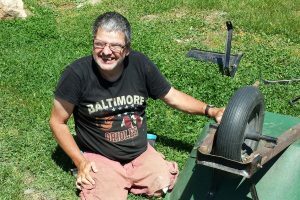 This makes us as an alternative to traditional providers for adults who have intellectual and developmental disabilities. 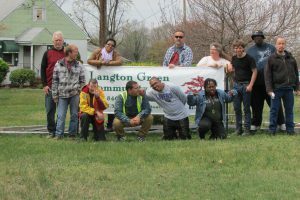 Langton Green is a regional leader in the services it offers to adults with intellectual and developmental disabilities. Langton Green is also a leader in the community. We offer our employment and volunteer services to a variety of local nonprofits. The Langton Green Community Farm is a community educational resource. It provides vocational training and opportunities for all interested parties, not just to the individuals that Langton Green serves. Established in July 2014, Langton Green Community Farm’s mission is to provide meaningful work experience and opportunities for community engagement while producing sustainably grown produce for our homes, and for sale to the local community. 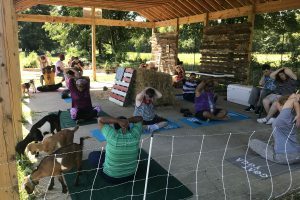 The Farm also serves as a focal point for arts activities, live musical performances, educational and vocational programming for the local county school system, goat yoga, Zumba sessions, and more fun, exciting and therapeutic events and activities developing all the time.